Description: This Funky fowl can really shake his tail feather on the dance floor! 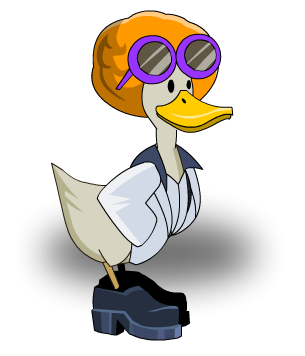 Give a cluck for the disco duck! Note: This item is a parody after the song "Disco Duck". Thanks to Flitterifie and Nugaot.